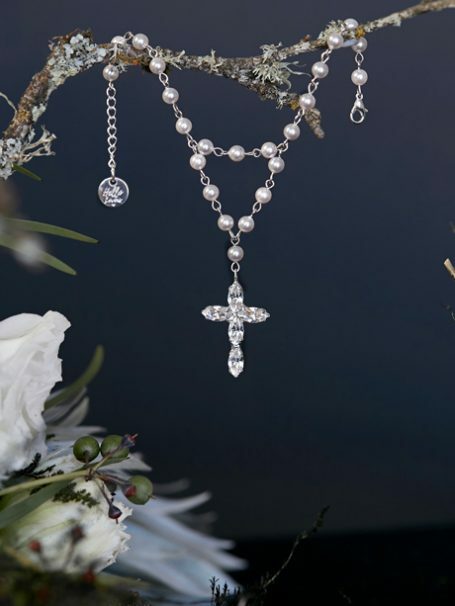 Understated and divine, show your faith with our Double Rosary Bracelet with Pearls. 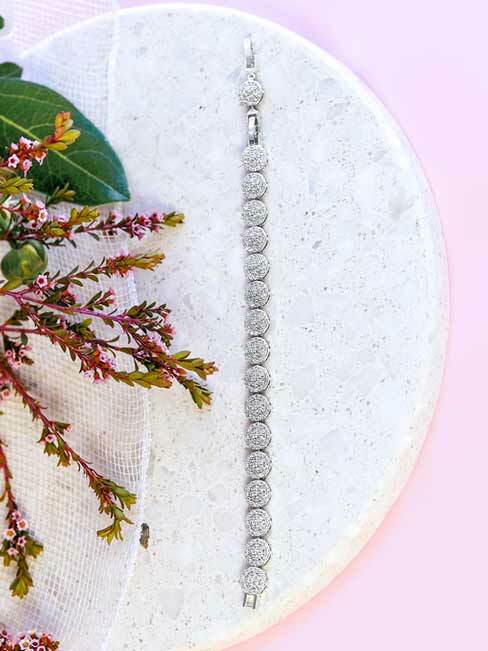 Beautiful bracelet that will be a delightful feature on your wedding day. Let your faith run free with this heavenly Rosary bracelet with pearls. 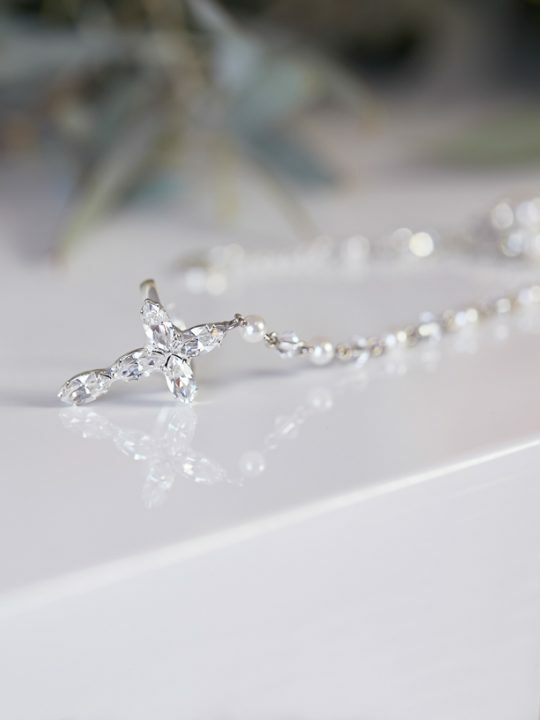 Modelled after our best selling crystal double rosary bracelet we have a new piece with pearls. The pearls are not a bright white but a soft white. 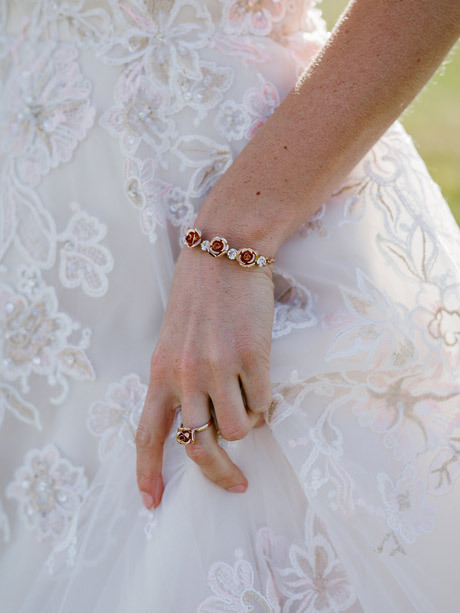 It will match both white, ivory and even colours like shown with our Marley wedding dress. 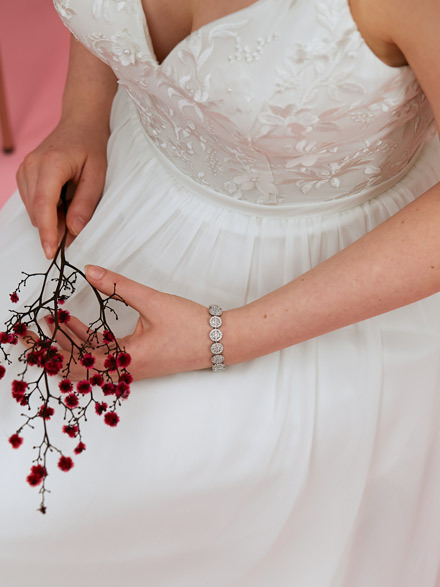 I would match this double Rosary bracelet with pearls with the Rutherford Pearl wedding earrings and the Eden hair comb. Perfecto! 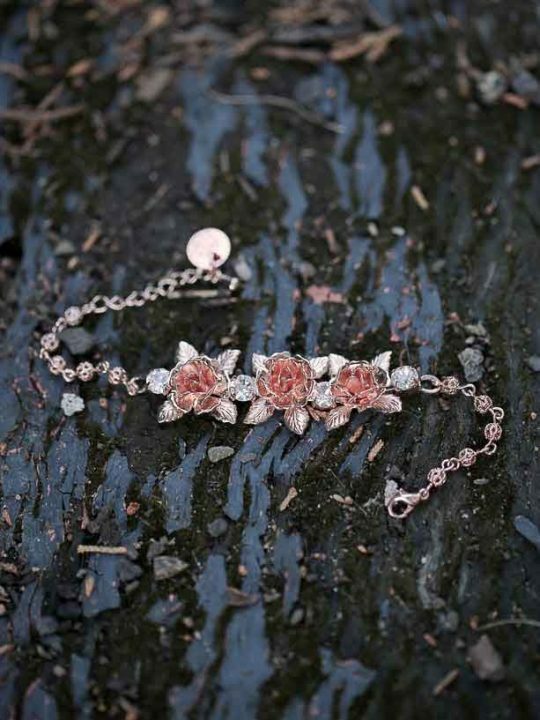 Gift this piece to your loved one to wear down the isle, a thoughtful gift to say you care. 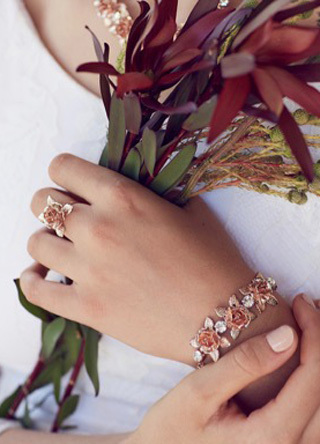 One of the best things is, this bracelet comes in the most gorgeous silk pink hello Lovers Australia box to keep the piece safe and secure for years to come.